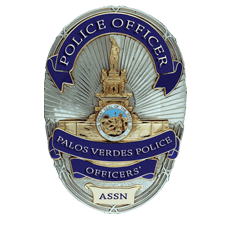 Access to the member's only area of this website is restricted to members of the Palos Verdes Police Officers Association. Accessing or attempting to access this site illegally will result in a criminal investigation and potential criminal charges filed against any such violators. To subscribe to the PVPOA E-Mail list, please fill out the information below and select "Subscribe".